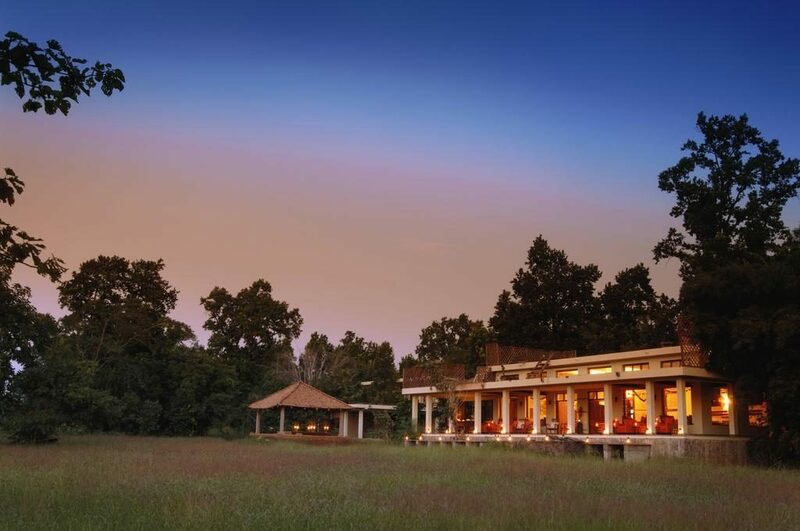 Nestled in the vicinity of the breathtaking Bandhavgarh National Park is the first of the Taj Safaris Lodges. 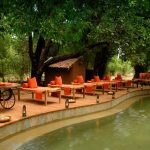 The name Mahua Kothi draws inspiration from one of India’s most beautiful trees, the Madhuca Indica, or as it is commonly known, the Mahua or butter tree. Its luscious off-white flowers take centre-stage in many Indian festive rituals, and here, at Mahua Kothi, it is at the centre of many a unique and delightful experience. 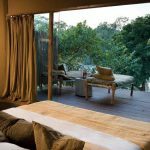 The lodge sprawls over 40-acre grounds of lush forestland, the exotic Mahua Kothi offers 12 charming suites or ‘kutiyas’ as well as a gracious, original homestead ‘kothi’. The dramatic landscape is home to a dense Sal forest brimming with exotic flora and fauna, an ancient 1,000-year old fort and a reclining statue of Lord Vishnu. Walk in to the cosily traditional guest area, with high ceilings, terracotta tiles, overhead fans, a fireplace, huge windows with window seats, beaten Bastar metal and hand-blown glassware. Freshen up in the Comings & Goings room. Step into the open kitchen that lets you in on the simple joys of butter being churned, masala being hand-ground, garden-fresh vegetables being chopped with sickles and rotis being expertly made on a chulha. Catch the jungle breeze out on the 600 sq. ft. verandah, browse leisurely through the Safari Shop, idle away the hours at the library or take a dip in the swimming pool. 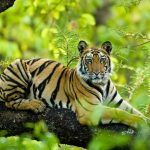 Discover incredible Indian wildlife through exciting safaris twice a day. Try your hand at traditional Indian games like marbles and ‘chaupad’. Unwind with a blissful in-room Ayurvedic massage!